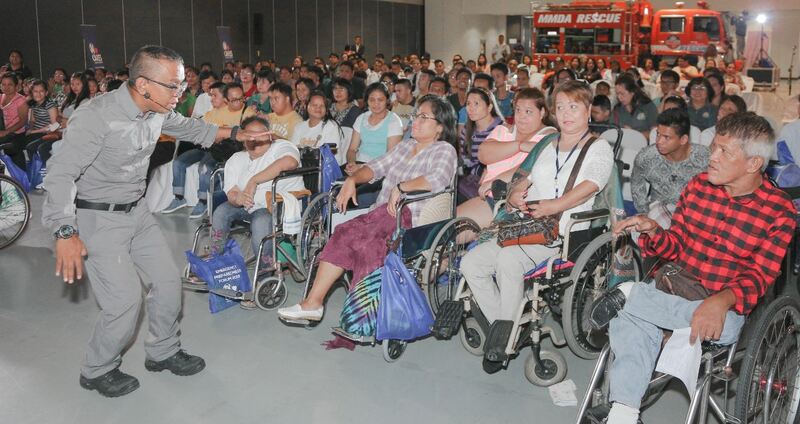 More than a hundred participants in wheelchairs, crutches and accompanied by caregivers, attended the first Emergency Preparedness Forum at the SMX Convention Center. Hosted by SM Cares, the Corporate Social Responsibility arm of SM Prime Holdings, the forum enlightened the audience on the possibility of a potential earthquake in Metro Manila, as well as other disasters and calamities. 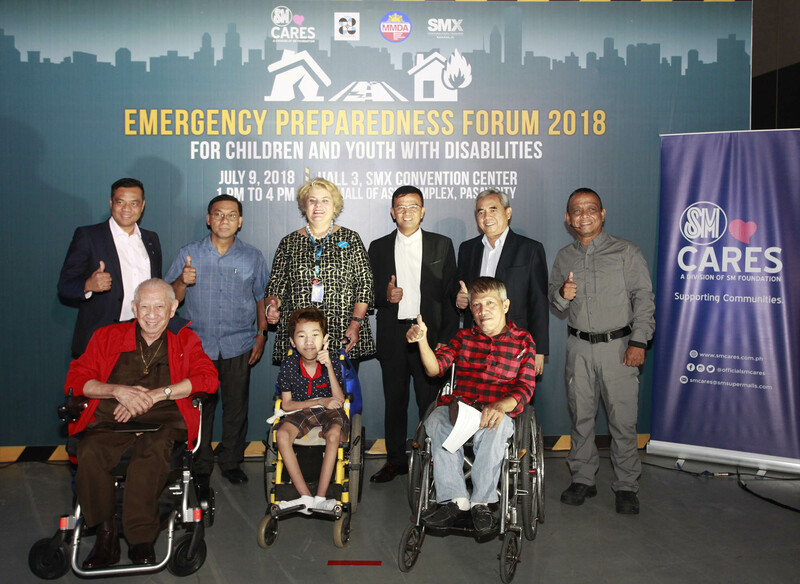 Participants from different PWD organizations and learning institutions attended the event including young people who are blind, deaf, children with physical or orthopedic impairments, with Down Syndrome, Autism, and those with rare disorders. International Disaster Response Network operational medicine instructor Dr. Ted Esguerra shared survival measures for those with limited mobility, vision, and hearing. Dr. Renato Solidum, Jr., undersecretary for Disaster Risk Reduction of the Department of Science and Technology (DOST), and officer-in-charge of the Philippine Institute of Volcanology and Seismology (PHIVOLCS), talked about “The Big One” and the possibility of a 7.2 magnitude earthquake in Metro Manila. Meanwhile, Dr. Ted Esguerra, operational medicine instructor of the International Disaster Response Network taught specific survival measures for those with limited mobility, vision, and hearing. The forum ended with an earthquake simulation exercise with Dr. Esguerra, MMDA officials and volunteers from the audience. To know more about SM Cares, please visit www.smcares.com.ph, www.facebook.com/OfficialSMCares or email smcares@prime.com.